Being in sales or marketing means that you need to establish relationships with your customers & work with them to figure out what will be best for their businesses. 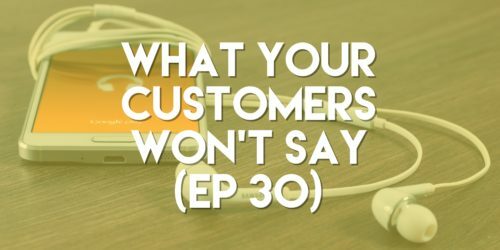 However, there are a few things that may be lurking beneath the surface that your customers just won’t say. Marcello & Shari talk about some of the most common things that go unsaid but could be having a significant impact on your business.